The trio believed their clients deserved to get the right data to the right people at the right time. The mission was to gain clients’ trust through passionate work. To reach that goal, they wrote a vision statement: “In one year we must be the best Salesforce partner in Finland.” Then it was time for the fun: they shaped solutions, services and trainings to truly get the Salesforce platform working for their clients. Life is too short for bad customer experience. Fluido was born into a world of cloud. That meant that servers were never placed anywhere and work was available from everywhere. It was easy to breathe the international air and take actions to start growing globally. The first person we hired came from outside of Finland. Fluidians have always felt that actions hold the most value. They were bored with firms who speak louder than anything else — these Fluidians wanted to go beyond words. They wanted to help their clients — their friends — to deliver a better customer experience. 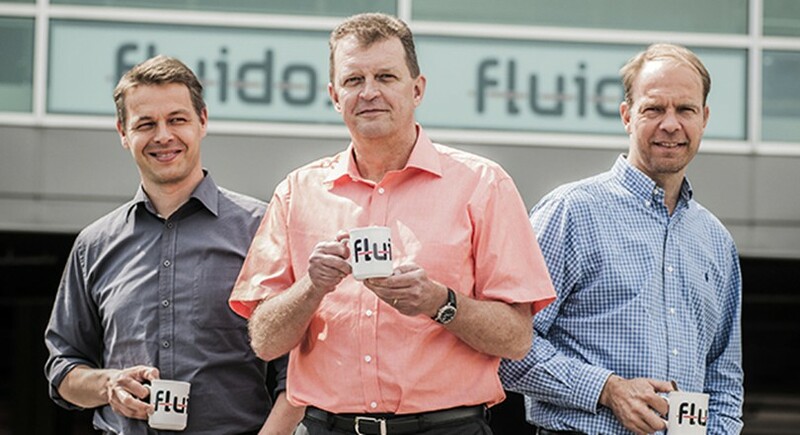 Looking back, Fluidians feel that Fluido thrives for a few key reasons. Our team has always been dedicated to development and growth, and we can really see the results when we help other companies to succeed. We believe in recruiting superheroes to help the company grow in all the right ways. And our office has always had this motivated, lively and flourishing culture that doesn’t let you down. This will keep Fluido preaching the Salesforce gospel to their friends for a long time. Did you know? ‘Fluido’ is a Spanish word that means fluid, fluent and electrical current. When asking a Spanish speaker about the word ‘fluido’, the first impression is: fluent, soft like water and easy to adapt. Fluido is something that goes in a really organized way, structured without interruptions, say the Spaniards. to help you succeed with your customer relationships and Salesforce.